Generally interior designers will not recommend large bathroom tiles (such as 12X24 inch) in a small bathroom since it tends to make the room look smaller. However, using smaller tiles can give you just as many problems. 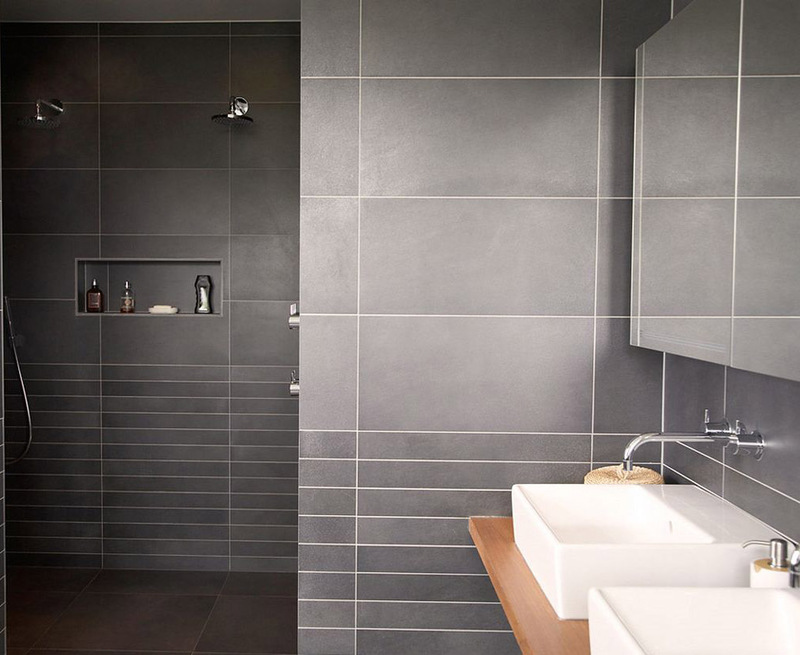 This mistake can give the bathroom walls a grid-like appearance that can promote the feeling of being boxed in. Of course, larger tiles have fewer grout lines, so you’re better off meeting in the middle like here where we mixed large & medium sized tiles to get the best effect.